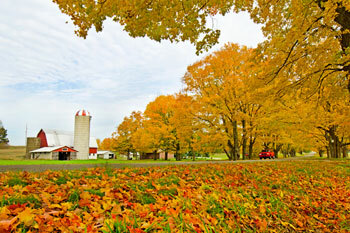 Take some time during October and enjoy the beautiful fall colors in Oceana County. This region is known for its abundant fruit trees, including apple and cherry, and the countryside comes alive with vibrant reds, oranges and yellows during the autumn months. 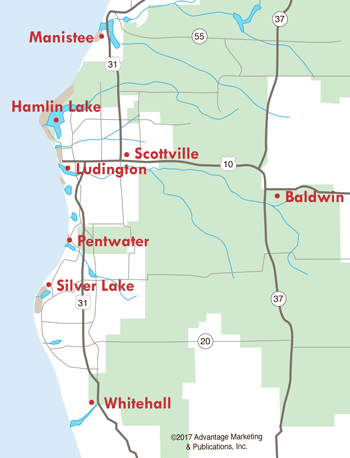 The small villages that comprise Oceana County are as interesting and diverse as you'll find anywhere. Pentwater is a quaint town along Lake Michigan and features shop after shop of unique items. Many art galleries are also found in the downtown region, and down the road is Charles Mears State Park. 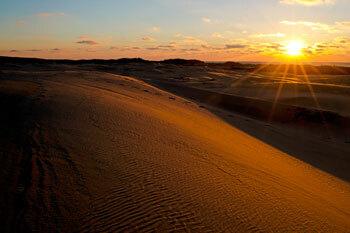 Adventure and fun awaits visitors to the Silver Lake Sand Dunes. Ride the dunes, visit Little Sable Point Lighthouse or take your boat out on Silver Lake. The Hart-Montague Bike Trail is 22.5 paved miles of trails that run from Hart down to Montague. This is a popular four-season trail that would be perfect to bike in the fall. Starting from Montague, follow US-31 BR north to Whitehall road up through Rothbury (it becomes Oceana Drive). Just south of New Era, take Cleveland road east then north on 90th Avenue. Then go west on Arthur and north again on Oceana Drive through New Era, Shelby and Hart. Near Pentwater, drive west on Monroe road to Long Bridge Road that travels along Pentwater Lake. 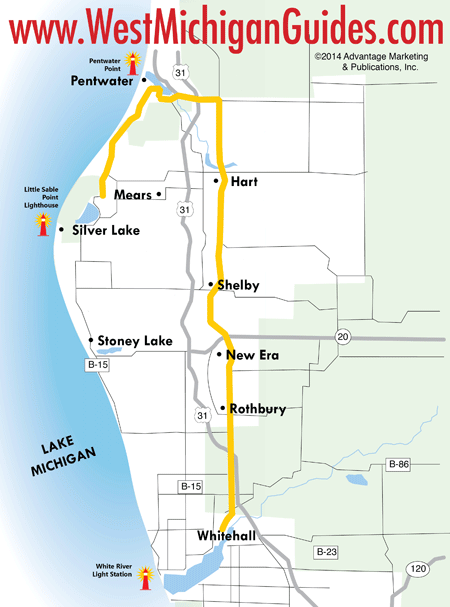 Turn south on Ridge road and head down along the lakeshore to Silver Lake. Take a weekend drive and spend an afternoon traveling the back roads of Oceana County during the cool autumn days. And don't forget to visit the small villages along the way for great shopping and delicious food.